A lot of my friends who travel to Da Nang have no idea what to do in here, mostly because it’s a small city but still bigger a town like Hoi An without many English information. That’s why I want to start with a short instruction for my friend and any people who want to visit my city in 1 day from my local knowledge. To avoid the strong sunshine during the day, Da Nang people usually go to the beach at a very early time in the morning, so if you love challenge, getting up at 5 am and go to the beach and you’re going to have a very interesting experiences. The beach at 6 am is usually full of people, from the children to the elders, most of them are local people because the tourist cannot get out of their dream. The water quite cold after a long night and very fresh, everything is in grey and orange in the rising sun. Cham Museum is the only museum on the world about Cham people and the Champa lost kingdom. There are around 2000 artifacts, but the display space of the museum just enough for 500. In the Cham museum, you can see the beautiful artworks of Cham and see the interfering culture between India and China. But in my opinion, you should have some knowledge about Champa beforehand to have better experience because the information at the museum is not enough to understand the beauty of the artifacts. Marble Mountain is the best place for you to hide from hot air and sunshine of Da Nang in the noon, it’s a nice place for both nature and history fans. With the pagodas were built deep in the caves, walking in the marble mountain give a holy feeling for anybody. At the marble mountain, there are also a traditional stone carving village where they make the beautiful stone artifacts that you can buy as souvenir for your friend and family. The price for each artifact vary from the cheapest one around 30 000 vnd to hundreds million vnd for the big and beautiful statues. Pay attention not to buy the cheap, very detail and smooth ones because most of them was made from stone powder, not carving by hand. Now it’s time to try one of the special food of Da Nang, I cannot find the English name for “Banh trang cuon thit heo”, it’s a very simple but delicious dish. 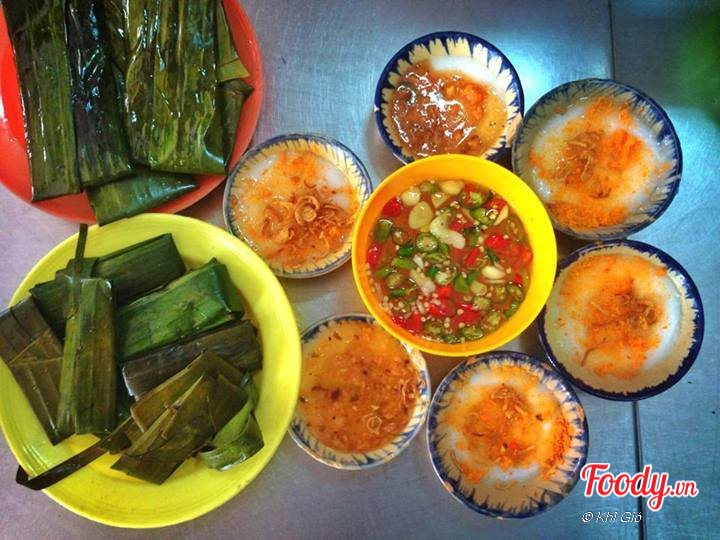 The main ingredients includes: boiled pork, a mix of herbs, girdle-cake and fish sauce. Everything you need to do is using the girdle-cake to roll the pork and herbs together by hand and eat them with fish sauce. If you don’t have time for the beach in the morning, this is the good time for taking a bathe, the afternoon beach usually noisier, windy and a lot of people. After taking a bathe, just 5km from the beach, Son Tra Mountain is the next location for you to have a sight-seeing to the city at the feet of the big Buddha statue. Furthermore, this mountain is the house of one of the rarest langur (long-tail monkey), the Red-Shanked-Douc, which you can help preserving them by joining the Green Viet’s journey . Banh xeo is the second special food of Danang, to cook banh xeo, they fried a mix of water, rice flour, shrimp and pork meat to make a yellow crunchy cake. Banh xeo, then, is eaten together with herbs, girdle-cake and peanut sauce, you have to roll them by hand, of course. 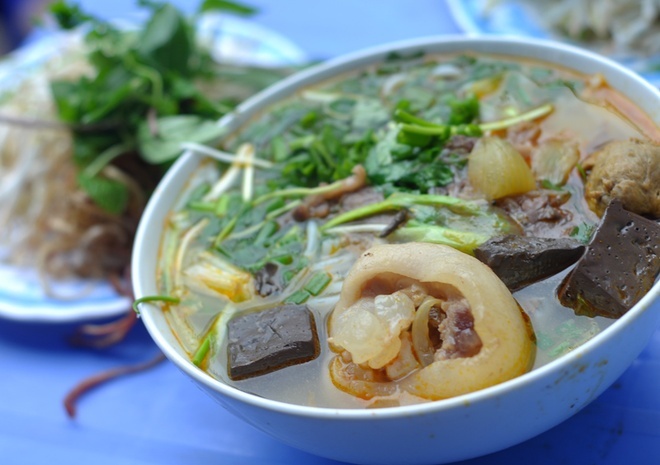 – Be Man: Lô 14 Hoàng Sa, Quận Sơn Trà, Đà Nẵng (100 000 – 500 000 vnd/dish up to the sea food) – Right at the beach, a cool, fresh place but the service usually decrease in the rush hour. It’s time for take a look at the 4 bridges of Da Nang by night and sit at the bars along the river bank for a drink and sight-seeing. – Bamboo bar: Nice view to the dragon bridge, suitable for backpacker. – Waterfront Bar: More elegant Bar, nice decor and western style. 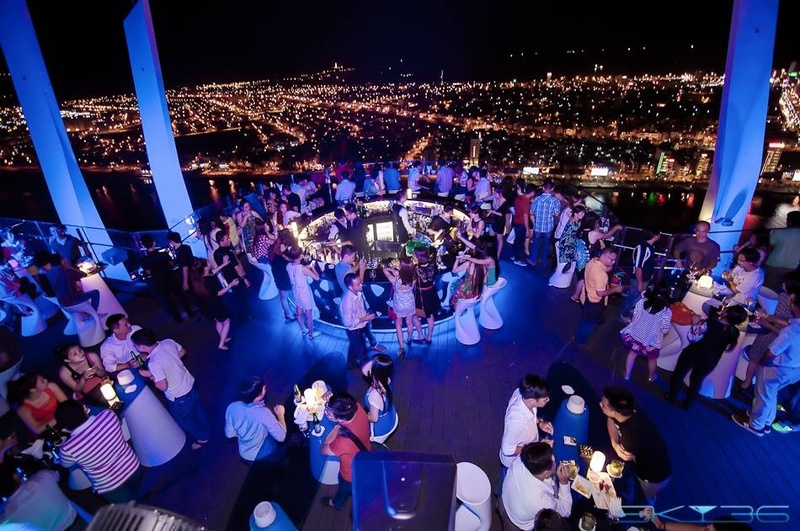 – Sky Bar 36: Bar and night box, for dancing and look at the city from one of the highest building. – Memory Lounge: Suite bar on the river, nice decor and view, good service. Ok, I should stop here. It’s so hard to cover everything in Da Nang in just 1 articles, there are many other things such as Asia Park, Markets, so if you want to experience more of the life and culinary ar Da Nang or have any question or anything you want to know more, please feel free to put them at the comment place, your comment will be my instruction for the next articles.